Puzzled by how to save your Verizon voicemails? Feel trapped on their network because you don’t want to lose the precious, special, or important sounds in their system? I was and did. I even tried saving them through the Verizon system but it left me with a file only that phone could read. Some people think it’s stupid that I save voicemails but it’s really important to me to be able to hear the sound of my loved ones’ voices. It soothes me, especially when I can’t be around them or if/when they die. Google Voice solves the problem. 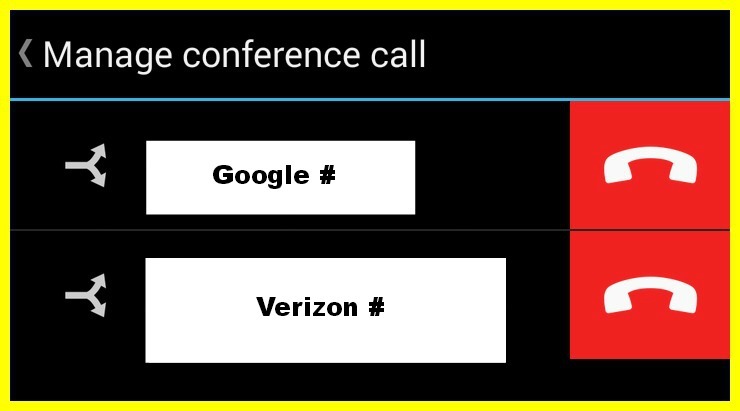 Phone #1 – phone that does not have a Google Voice account linked to it OR phone whose Google Voice number is not the same as the number whose voicemails you’re recording. Click on the gear icon in the upper right. Uncheck all phones but Phone #2. 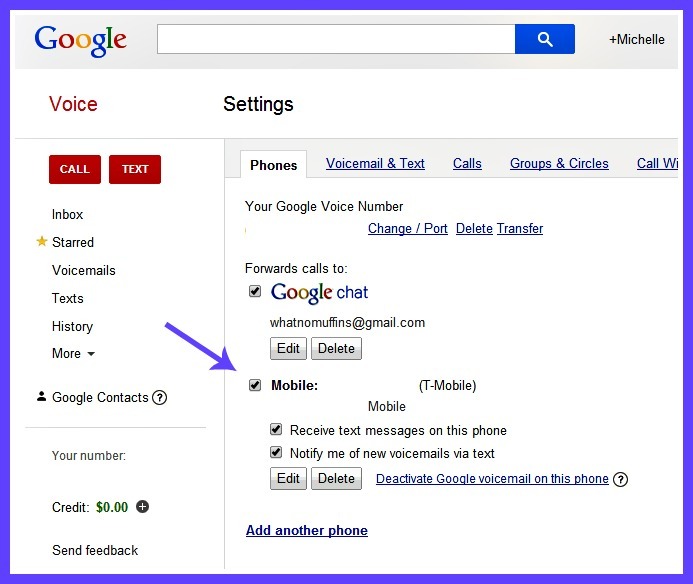 Note – Settings is also where you can choose a different number for your Google Voice number to ring to. **Remember to put the settings back when you’re finished recording! 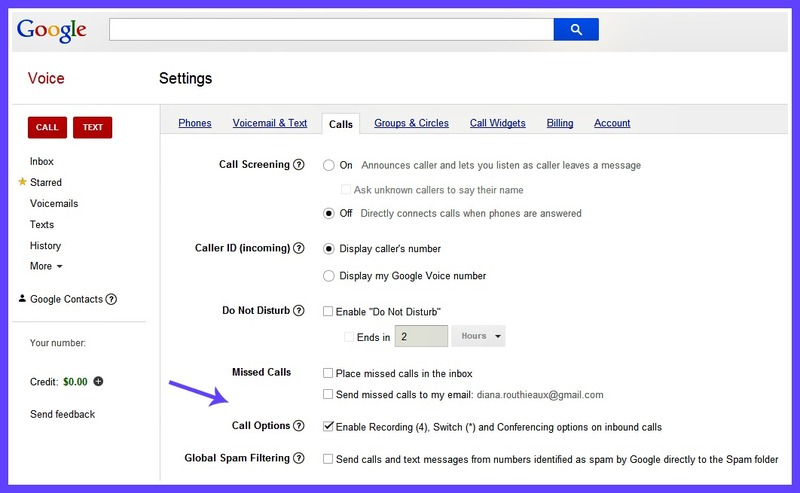 Click on the “Calls” tab and check the “Enable Recording” box. From Phone #1, call the Google Voice number that rings to Phone #2. 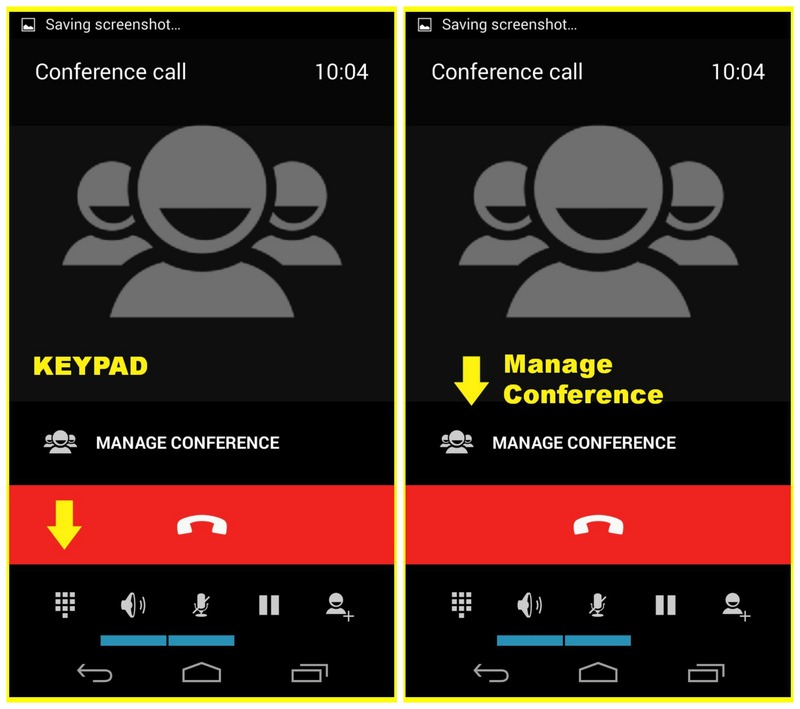 If prompted when answering, press 1 to accept the call on Phone #2. Call your Verizon number from the keypad on Phone #2. Press # during your voicemail greeting and enter your Verizon voicemail password when prompted. Merge the two calls (making it a 3-way). Mute the mic on both phones to ensure only your voicemail is recorded. Press 4 on the Google # line to start call recording. Listen to the first message. When the message is over, quickly press to control the Verizon #’s keypad, enter command (save/skip/etc.). Merge calls again before next message starts. Repeat steps 16-19 until all desired messages have been recorded. Note – It may take a few tries to get the timing down. I recommend trying this with one test message before recording all of them. 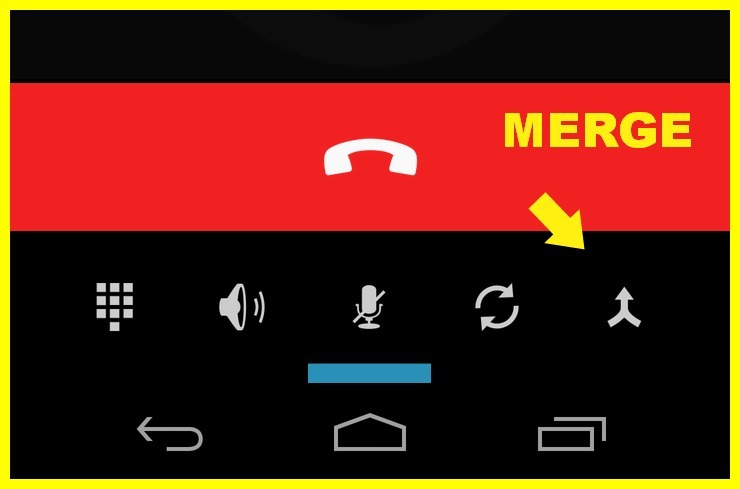 When you are finished recording, press to control the Google #’s keypad from the calling phone. Press 4 to stop recording. Make sure you hear the end-recording announcement. 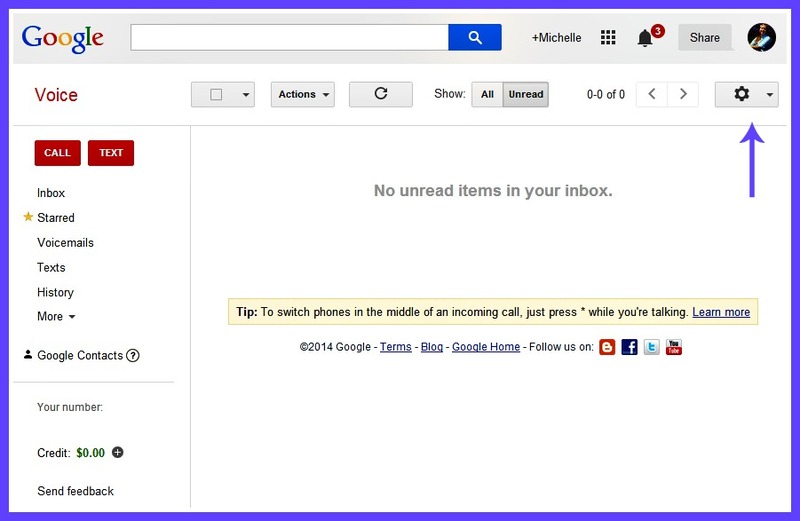 Check your Google Voice account to make sure the recording showed up. It will appear as a very long new voicemail. Congratulations! You can now download an mp3 of your voicemails or listen from your inbox. You are free to move about the globe contract free! I really hope this helps. It took me SUCH a long time to figure out and I’m still not sure how exactly I did it. I just know I finally did. Let me know if it works for you. I know it gives me peace of mind that my memories are safe as I switch to T-Mobile.